The program “Girls Who Code” aims to close the gender gap in technology by getting more girls interested in coding and tech careers. 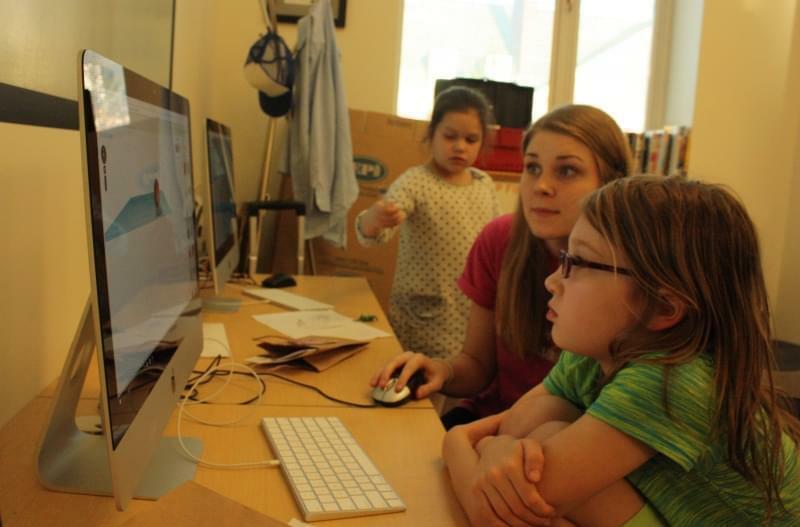 There are more than a thousand Girls Who Code clubs across the U.S.—and a new program is coming to the Champaign Public Library this month. Michelle Sawicki, the library’s adult services manager, said the goal of is to make coding fun and inspire girls in grades 6 through 12 to pursue careers in tech, at an age where they’re prone to lose interest. “This is an initiative to get them into the workforce, in jobs that are historically male-dominated, and to build their skills in areas where they may not explore on their own as much,” Sawicki said. The girls will get hands-on experience with coding and learn about the lives of different women in tech. Participants will be coached by a facilitator from Champaign tech company Wolfram Research. What about girls who have no prior experience and may not even know what coding is? “That’s exactly who it’s geared towards really,” Sawicki said. And if there are boys who are really interested in the free program, Sawicki said they won’t be excluded. The free program begins January 15th, and runs every Tuesday afternoon through May. Participants can sign up online or at the Champaign Public Library.